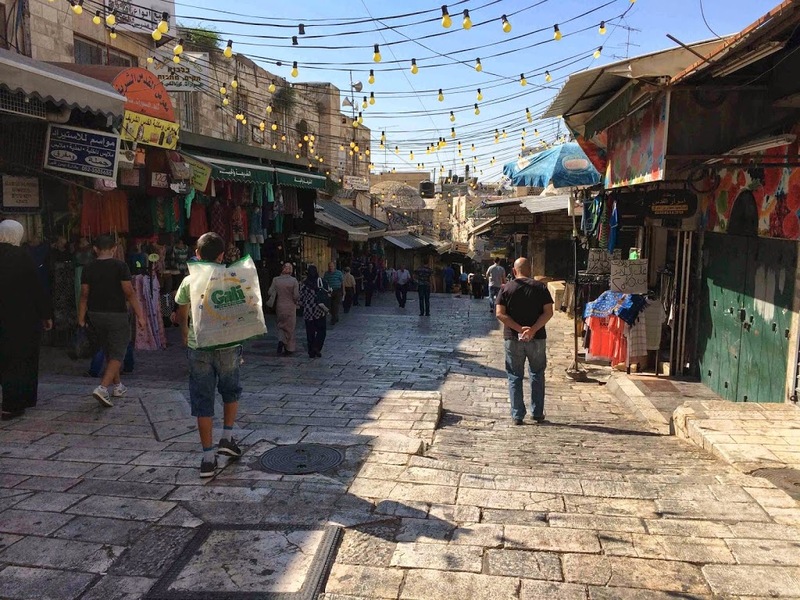 Now that I’m back in the States and have resumed teaching at the University of Oklahoma, I thought I would write about a few topics that occurred to me over the summer but that I did not have time to write about while abroad. The first of those topics is the new Acropolis Museum in Athens. I must admit that I was such a big fan of the old museum — the one built on the Acropolis itself — that I was hesitant to even see the new museum. I mean, the old one was just really cool! You could walk around the Acropolis, visit the Parthenon and Erechtheion, and then descend into the rock itself. In the Old Museum, you entered into set of doors that looked like they concealed a space about the size of a large broom closet, but somehow the museum just kept going and going, like some kind magic space in Harry Potter (I’m thinking of Ron’s family’s tent). It’s hard to complete with that. However, the new museum is simply amazing. It would be a mistake to visit Athens and not see it. I emphasize this point because two American college students (Californians, to be specific) waiting in line in front of me did exactly that, walking out of line when then they found out that the cost of the museum was not included in the ticket to see the Acropolis itself. Now, they claimed they were tired from a trip to Mykonos, and I can sympathize with the frustration felt at seeing that every site around the Acropolis requires a separate ticket. 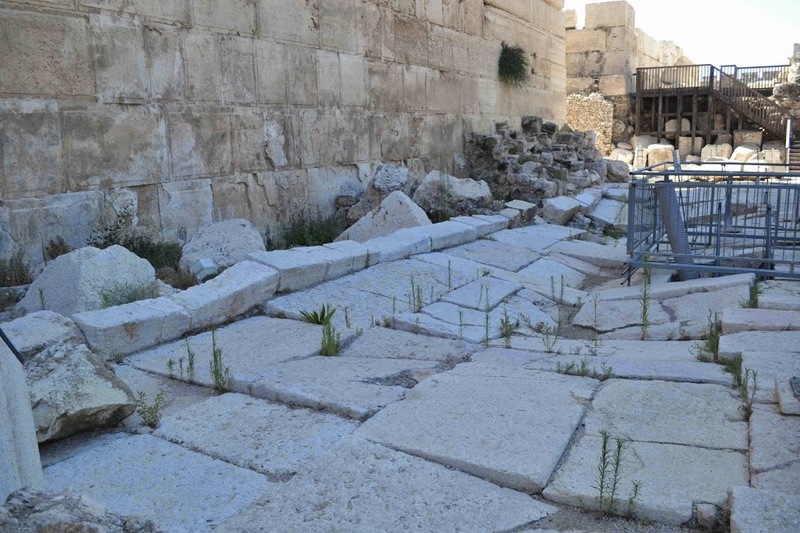 The South Slope, for example, should be included with admission to the Acropolis. I mean, come on! The South Slope! Also, I’m fairly certain that half the people visiting the South Slope after exiting the Acropolis Metro station think that they are entering the Acropolis. 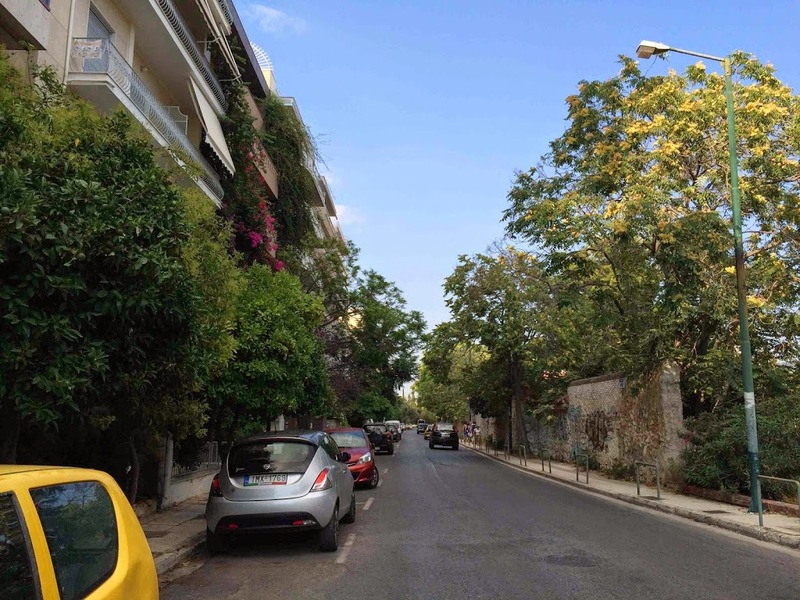 Now, as some visitors will know, you can buy a pack of tickets for 12 euros, that will allow you to visit the Acropolis and six other sites, such as the South Slope, the Agora, the Temple of Olympian Zeus, and others. The tickets are valid for a week. If you are going to see more than Acropolis and the Agora, it’s worth it. Also, buy the tickets at the Agora, where there is hardly ever a line, and then go to the Acropolis, where there is always a line. In the summer, this could save you an hour or more of waiting at the Acropolis. The ticket pack does not, however, include a ticket to the new Acropolis Museum, as the Californians discovered, which caused them to depart Athens without having seen the real maidens from the Caryatid porch, although they presumably saw real maidens with much less clothing while on Mykonos. Back to the Museum! There are a number of critical reviews of the museum available on line and in print. I’ll limit myself to pointing out a few of my favorite things about the new museum and one point of criticism. 1.) Archaeological excavation under the museum. If you visit the museum in summer, odds are you will have to wait in line for 30 minutes or so. However, the line forms over a plaza that features clear flooring and open spaces with railings that allow you to see the archaeological excavations under the museum. 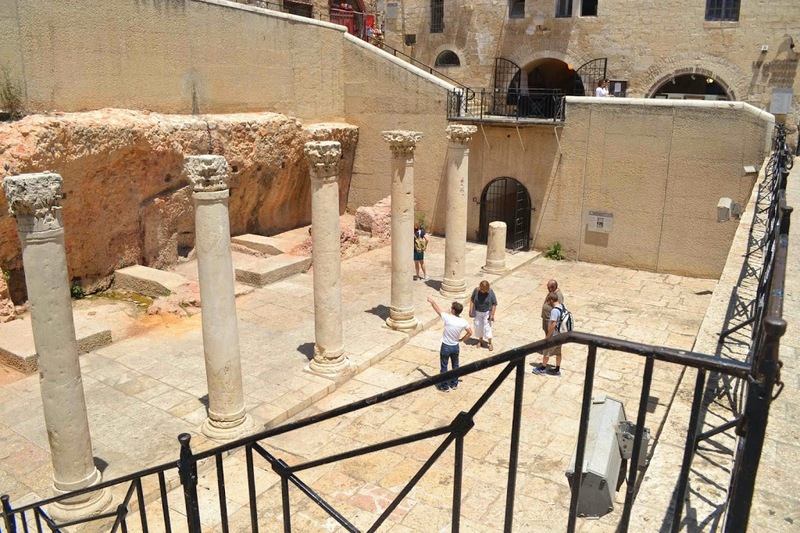 According to the museum guidebook, as construction began on the museum, significant archaeological remains, primarily from the late Roman period, but also from earlier periods, were discovered. Rather than removing the remains, as had been done during construction of the nearby Metro station, architects and archaeologists decided to leave most of them in place and raise the museum above the excavation on pylons, making the excavations visible to visitors and allowing continued investigation of the area. The result is awesome. Even if I did’t have to wait in line, I would have spent at least 30 minutes looking at the remains visible in the forecourt plaza. So, if you are waiting in line, be sure to look at late Roman Athens visible trough the floors, and if there is not a line, be sure to check out this part of the museum (also, it’s free!). 2.) The building and its spatial arrangement. The building is beautiful — lots of filtered natural light and great views of Athens, as plants of critics will have noted. The arrangement of material really works with the building. As mentioned above, I really liked descending into the Old Museum. However the ascent into the new museum follows the spatial and chronological arrangement of the acropolis, which is very cool. Here is what I mean. The ground floor contains material from the slopes of the acropolis, which is what one would see first as one approached the site itself. The visitor then ascends chronologically from the archaic acropolis to the Parthenon gallery, which presents the Parthenon freize (molds and originals) as it would have run around the outside of the cella of the Parthenon, something the old museum could only do on the inside of a room. Oh, and the windows and views on the parthenon gallery give stunning views of the acropolis and other parts of Athens. 3.) The restaurant. 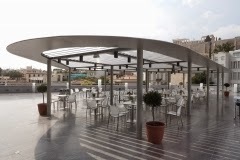 You can eat on a terrace looking in one direction at a beautiful modern museum, in other directions at Plaka, and then directly at the Acropolis and the Parthenon. The food is very good, intended to give a sampling of different regional Greek cuisines, and it is reasonably priced. Definitely eat lunch at the restaurant. More about it here. 4.) The Museum Guide, available in the museum store. It’s got lots of great, high-quality pictures of pretty much everything on display. It tells the history of the site of the museum, of the acropolis, and contains lengthy descriptions of the most important finds. It’s a steal at 15 euros. The one thing I did not like: the no-photographs policy and, more specifically, it’s random enforcement. In some areas of the museum, like display of the original Caryatids, photographs were allowed, in the presence of a docent, in front of sign stating that photographs were prohibited. And when I say allowed, I mean that visitors were lining up to take their pictures next to the Caryatids. In other areas, however, where there were no visible signs prohibiting photographs, docents were sternly warning visitors away from photographing the displays. This made no sense to me. Especially since, in the latter case, the finds had already been published. If there is to be a no-photographs policy, that needs to be made clearer and it needs to be consistently enforced. But, if you are someone who gets miffed at not being able to take photos in the museum, buy the guide, it’s beautiful, and the photos are probably better than yours would be. This week I’ve traveled on from Istanbul to Athens, where I’m using the bibliographic resources of the American School of Classical Studies to research my next book project, which deals with changing attitudes towards the dead in late antiquity. In particular, I’m interested in the increasing presence of the dead in cities (intra-mural burial) and the increasing number of settlements near cemeteries outside of formal, urban boundaries. Both of these processes signal a departure from the classical model of the city, a break-down of the centuries-old taboo surrounding dead bodies, and the beginning of an urban model similar to what can be found in many modern cities. However, as I’m finding in my research, the process by which this happens differs significantly various parts of the eastern Mediterranean and western Europe. More on that in a later post, however. Today, I want to briefly discuss the role of American overseas research institutes and the ways in which they can benefit scholars. The American School at Athens, where I’m presently working, has tremendous bibliographic resources, combining the Blegen Library (which contains mostly works dealing with Greek and Roman antiquity), the Gennadius Library (which contains work dealing with Byzantine and Early Modern Greece), and the library of the British School of Archaeology (located next door to the American School). Today, scholars can access all of these libraries through one digital catalog, cleverly designated Ambrosia. There are few libraries were scholars can access so much material in a one-block radius. As many readers will know the American School also runs non-credit educational programs: the year-long “Regular Member” program, geared towards graduate students, and the summer-session programs geared towards graduate students and advanced undergraduates. More on those programs can be found here. 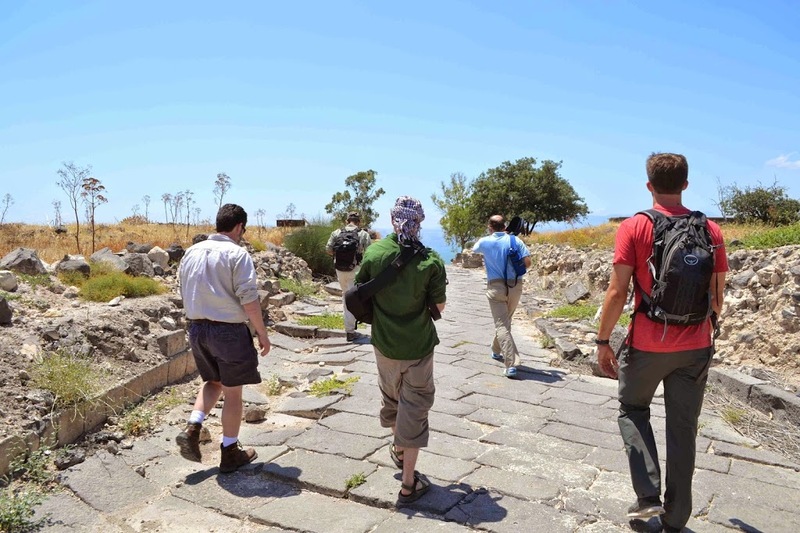 As a former “Regular Member” myself, I can say that there is no comparable educational experience for those who want to learn about archaeology in Greece. The American School also oversees the excavations in the Athenian Agora and the excavations at Corinth. The latter is where many Regular Members (including myself) train at the end of their academic year in Athens. But, to focus on the American School’s educational programs and its bibliographic resources misses one of the key functions of the School and similar institutions. They are great places to meet people, and the American School, in particular, facilitates such meeting through traditions like Tea, served throughout the year (in summer at 5:30 p.m.) in Loring Hall. (Incidentally, tea can also be had at the British School, of course). This week I’ve been able to meet several scholars I would otherwise have been unlikely to meet because we are all working in and around the American School. Even in an age of sharing information digitally (like this blog) the ability to meet people in real time and in real space working on similar projects is extremely important and the American School is a great place for such meetings. The American School is not the only place were such meetings happen, however. While in Istanbul, I was able to visit and briefly use the facilities of the American Research Institute in Turkey (ARIT). 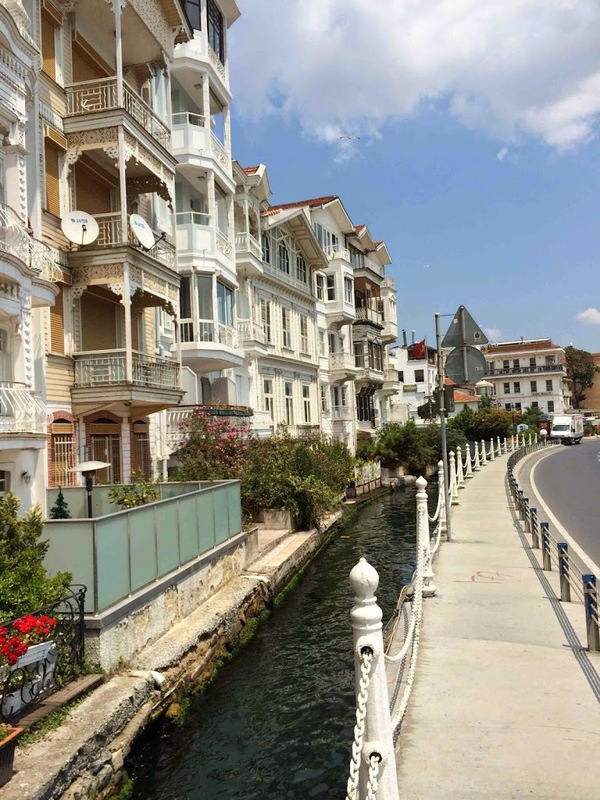 The ARIT facility is located in an idyllic area of Istanbul (photo below) and its reading rooms are wonderful places to read. It is, however, on a different scale than the American School in Athens and does not have the same sort of bibliographic resources. It does, however, have a good collection of books dealing with Byzantine, Ottoman, and Modern Turkey. Perhaps more importantly, it can function as a meeting place and space for American and foreign scholars. Also, ARIT can function as an institutional base for American scholars who want to use the resources of other foreign institutes (like the German Archaeological Institute), Turkish academic libraries, and to visit museums and archaeological sites in Turkey. 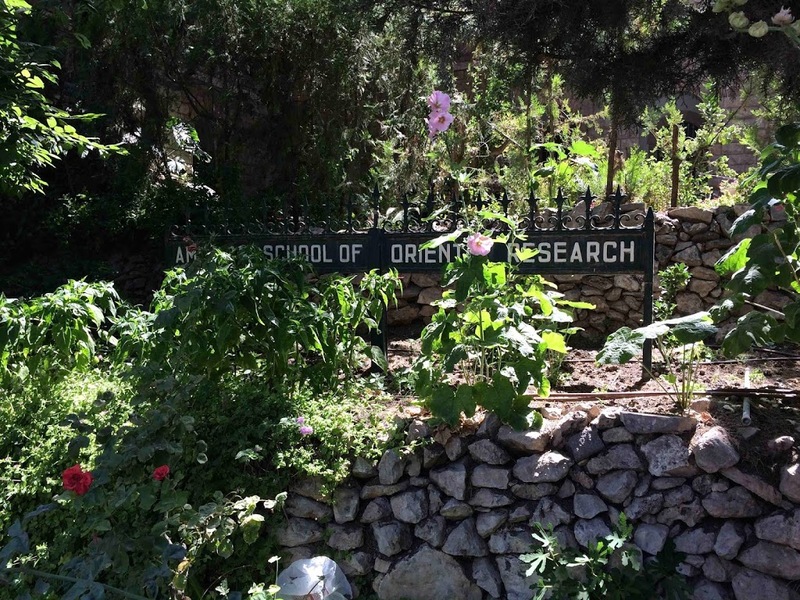 While I was in Jerusalem, I was able to use the facilities of the Albright Institute, formerly known as the American School of Oriental Research and formerly one of the “sister” institutes of the American School of Classical Studies in Athens. The Albright provides funding for number of scholars who use its residence and research facilities. Like ARIT and the ASCSA, it can also serve as a base for scholars to use nearby library resources and to visit archaeological sites and museums. Like the School in Athens, the Albright has “tea” and functions as place for scholars to meet and exchange ideas and information. Additionally, the Albright can serve more practical and emergency needs, as when it recently helped to facilitate the placement of excavators from Ashkelon into the Megiddo Expedition, after the Ashkelon excavations were suspended due to rocket fire from Gaza. More on that story here. In sum, overseas research centers like the Albright, ARIT, and the American School serve a practical and necessary role in facilitating the meeting of scholars, the exchange of ideas and information, and sometimes assisting scholars, students, and their families with the practicalities of living and working in sometimes unpredictable places. This week I’ve been in Istanbul. 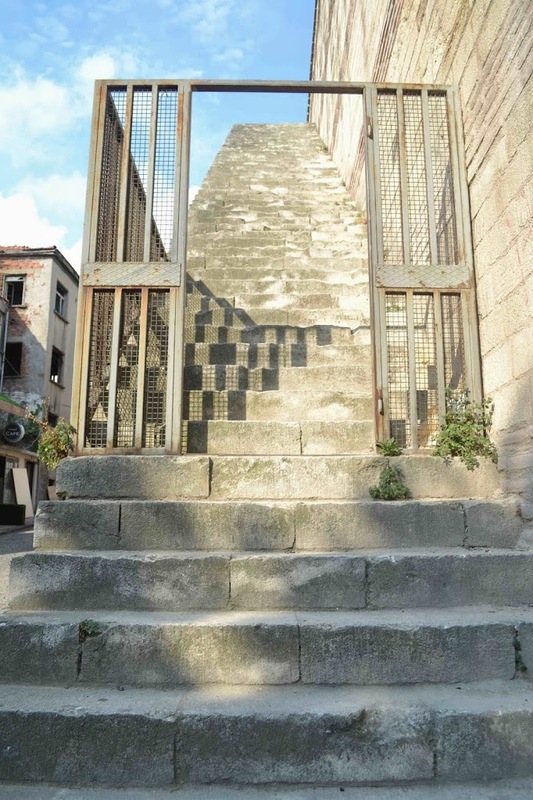 The purpose of visiting Istanbul, besides the fact that it’s a beautiful city, is to better understand the urban boundaries and the locations of churches and cemeteries of late antique Constantinople. 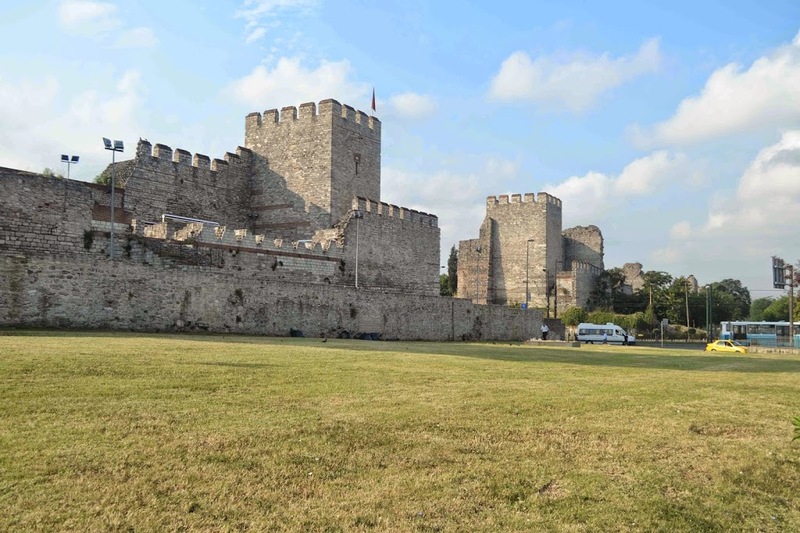 To that end, I spent one day this week following the famous land walls of Istanbul, largely building the first half of the fifth-century, during the reign of Theodosius II. The walls are still an impressive sight, as is clear in the image below of the (partly reconstructed) walls and gate located near the middle of the original line of fortifications. 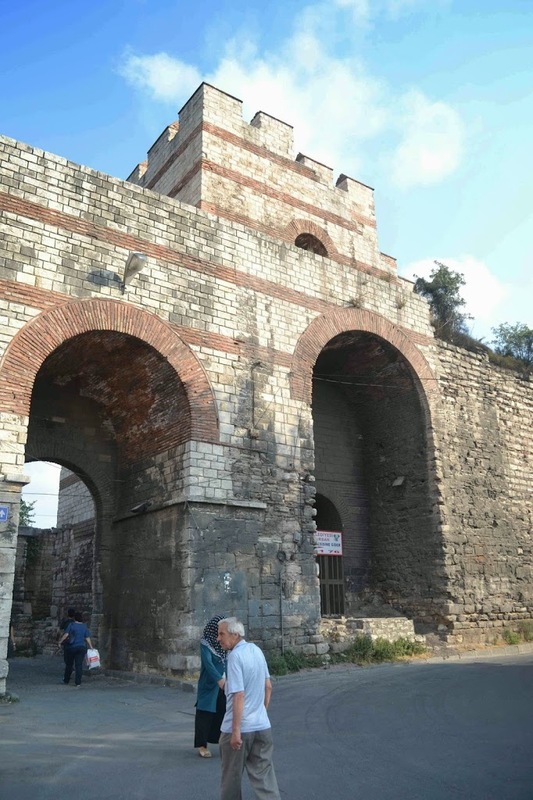 The walls run from the Bosporus to the Golden Horn, and thus defended Constantinople from land attacks. The walls consisted of a lower, outer wall, visible above, backed by taller walls and regularly placed towers. 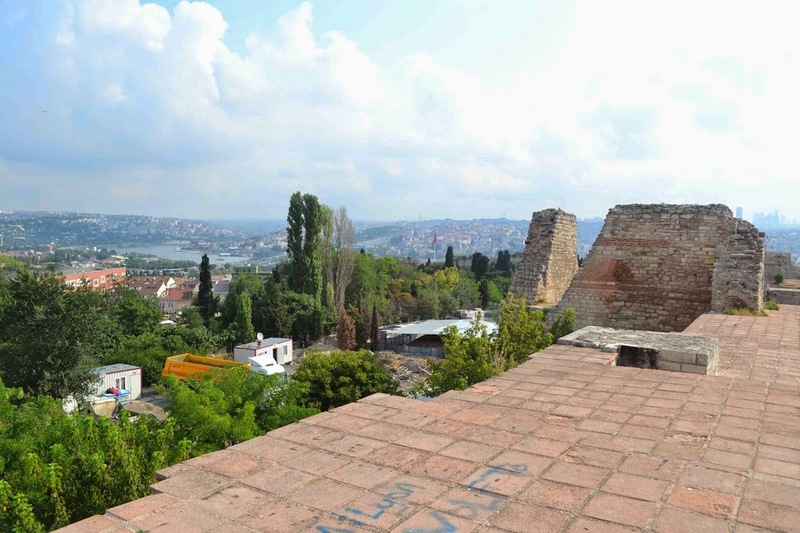 This system of fortification, combined with Constantinople’s sea walls, natural geography, and other defenses, preserved the city from outside invaders until its fall to the Ottomans in 1453. 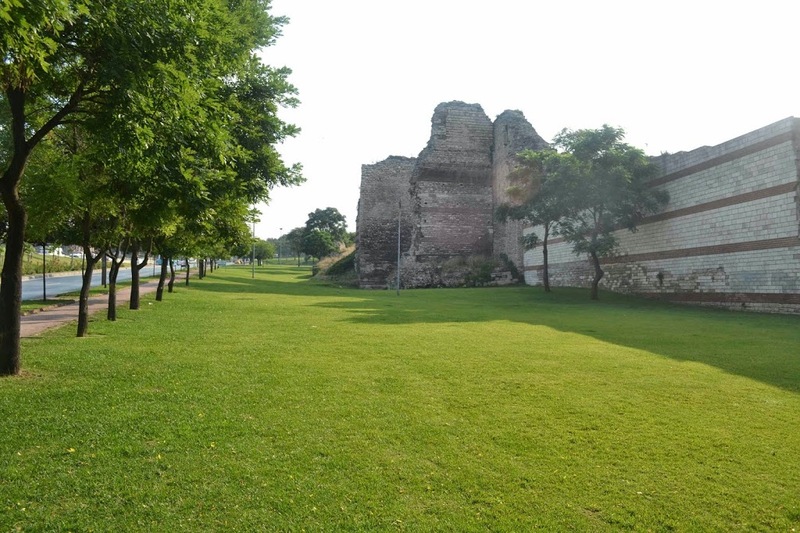 As can be seen in the photo below, some parts of the outer wall are today graced with nice sidewalks, shady trees, and lawns, giving the area a park-like feeling. Other areas outside the walls can be more overgrown with vegetation or near busy roads that made them difficult to walk on the outside. In such cases, it is generally possible to walk inside the walls, where I found some interesting example of modern re-uses of the walls, such as using them as shady nooks for a cafe, as seen below. At a few locations, the inside walls permit access to the top, via modern concrete stairs. The stairs are somewhat crumbly, and have no guard rails. So, for the acrophobic, the climb is harrowing. However, the reward at the top is great. From the top (also without guardrails) you can look over the Golden Horn and down towards where the wall met the sea. 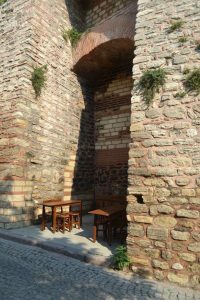 There are a number of churches and mosques located near the walls, such as the Church of the Holy Savior in Chora (Kariye Camii). 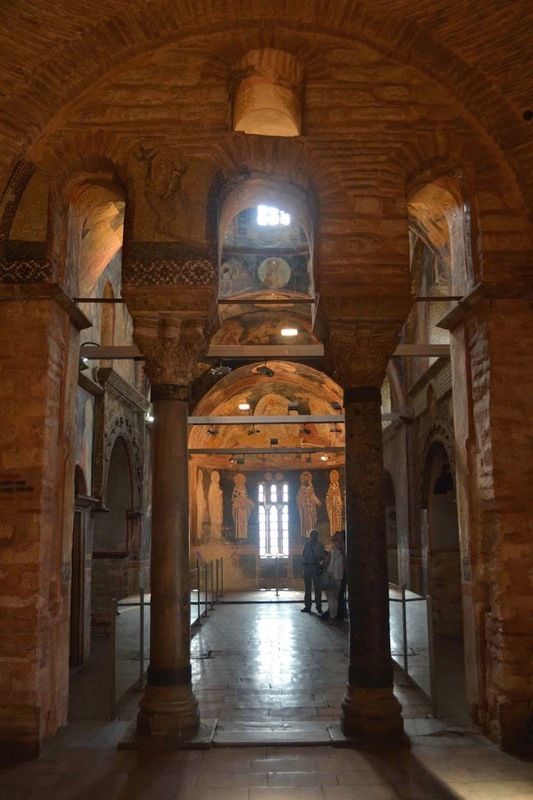 The name “Chora” indicates that the church was originally in the countryside. The title is usually explained as coming from the fact that the church is outside the walls of Constantine (4th c.), but is inside the (5th c.) walls of Theosodius. However, there appears to be no trace of the original 4th c. church. 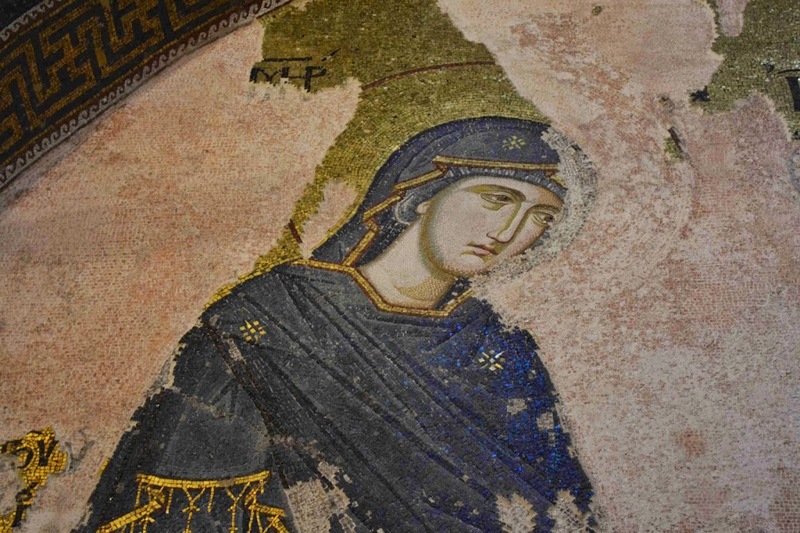 The earliest phases of the present church date to the 11th c., and the rebuilding and mosaics for which the church is famous date to the early 14th c.
Near where the walls meet the Golden Horn, I came across an Ottoman-20th century cemetery, located just outside the gates, in a manner similar to a classical necropolis. 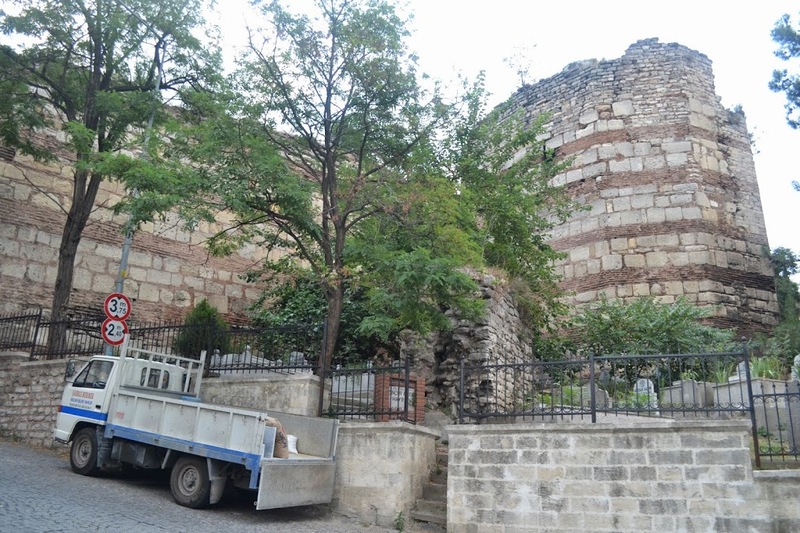 However, in that there is an Ottoman cemetery near my apartment, well-inside the city walls, exclusively extra-mural burial does not appear to have been an Ottoman practice. Ottoman to 20th century cemetery outside of Theodosian Walls. 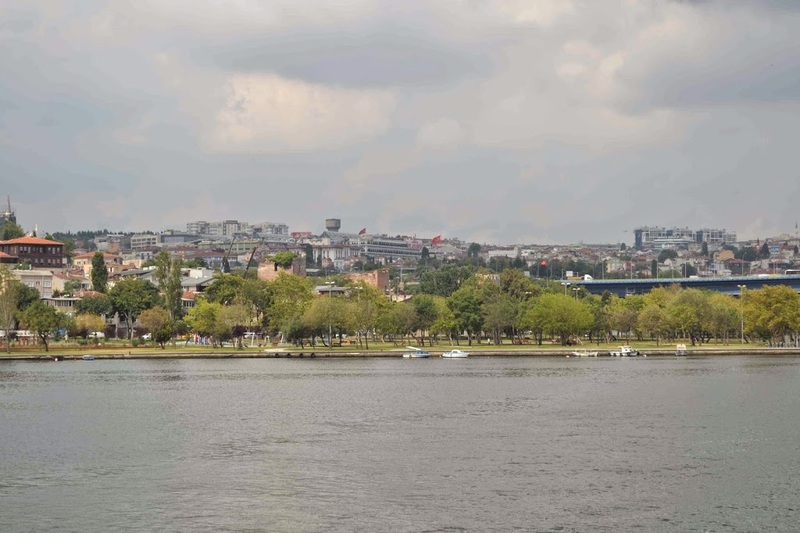 To journey back inside the walls, I took a ferry, now part of the Istanbul public transportation system, and in this image, taken from the boat, you can just make out the final towers of the land walls as they near the sea. 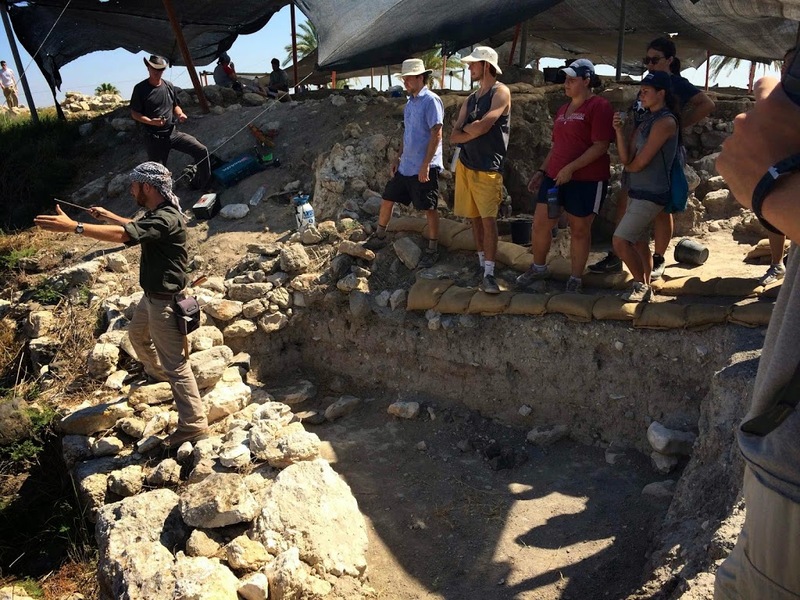 Last week concluded the third week of excavation at Megiddo, at which point the OU students traveled home or to other destinations. 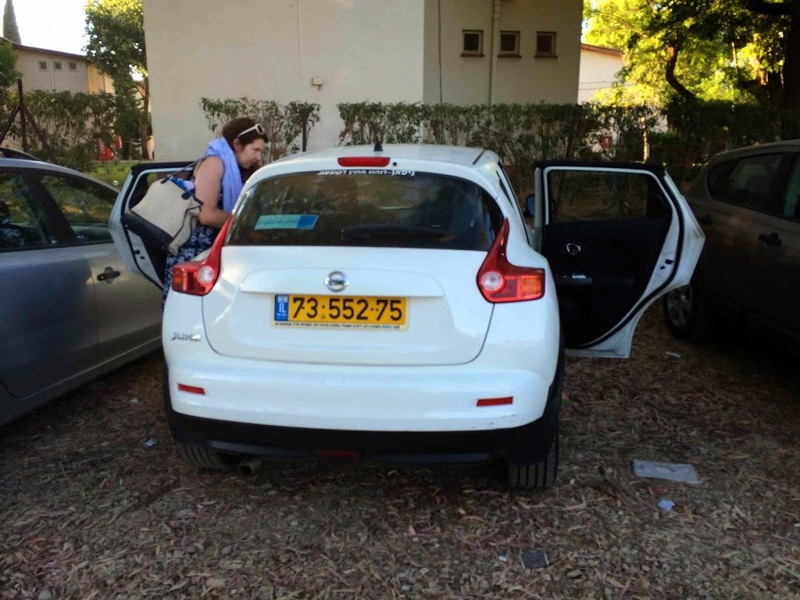 I journeyed south to Jerusalem, via Eldan rental car (below) to pursue research on two projects. One project examines the transition to intra-mural burial in late antiquity and the middle ages. 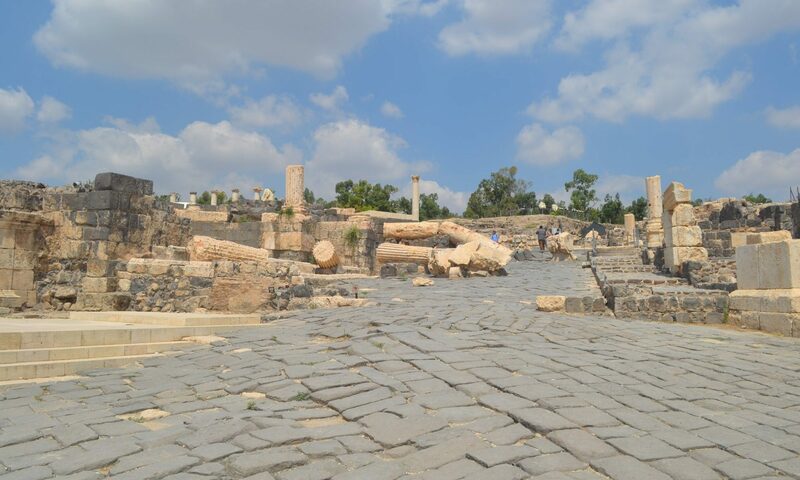 The other project examines the economics of early Christian pilgrimage between the fourth and seventh centuries. 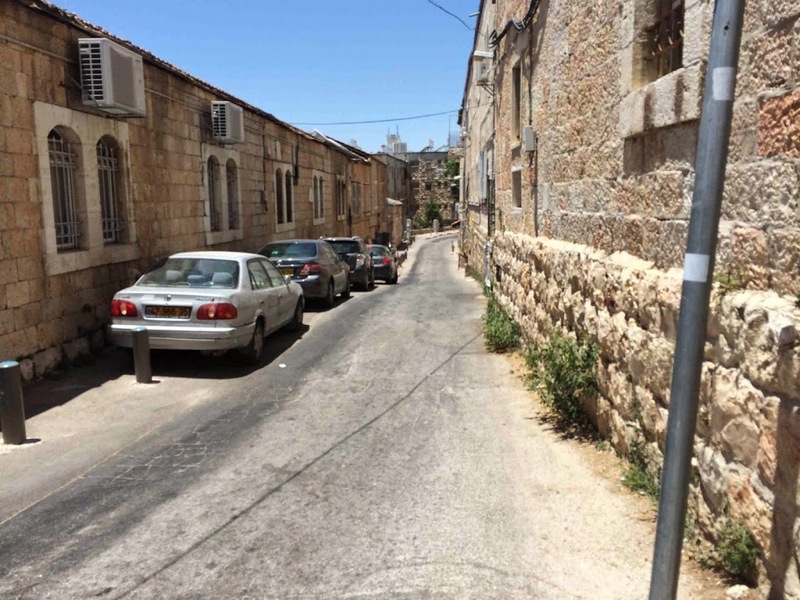 There is a wealth of material for both projects in Jerusalem and other parts of Israel. While in Jerusalem, I’ve made use of the resources at the Albright Institute in East Jerusalem. 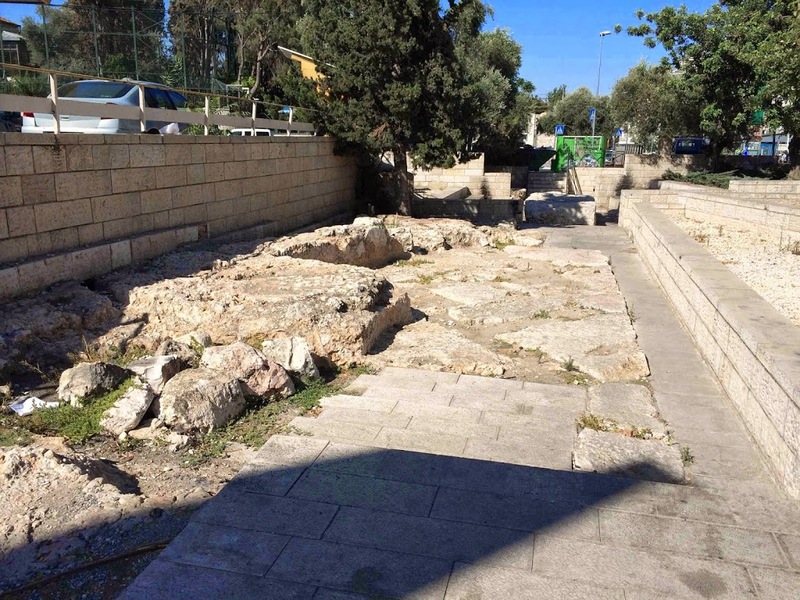 Most of my time, however, has been spent tracking down and photographing some of the monuments, walls, and features that define the boundaries and routes of communication of late Roman Jerusalem. 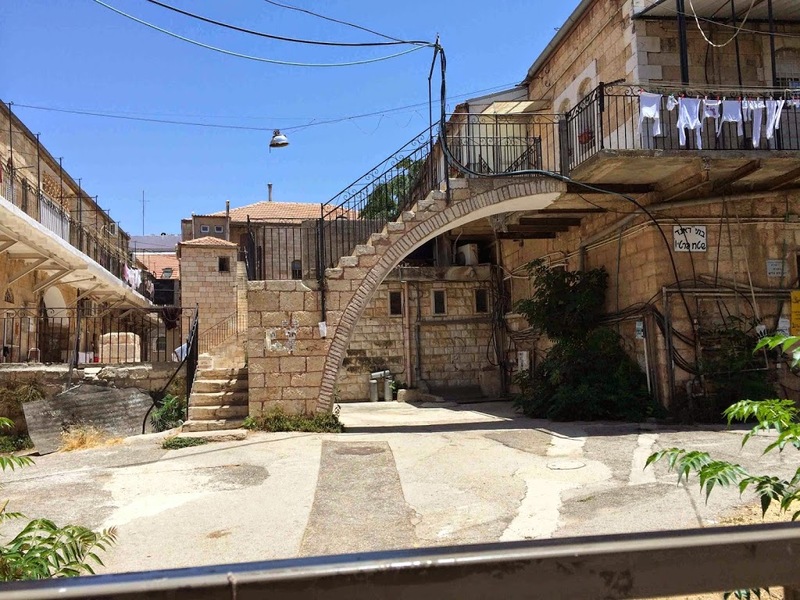 While in Jerusalem, I’ve been staying in the West Jerusalem neighborhood of Nachlaot, which was founded in the 1870s and characterized by two and three-story stone buildings, small and winding streets, garden courtyards, and small neighborhood synagogues. 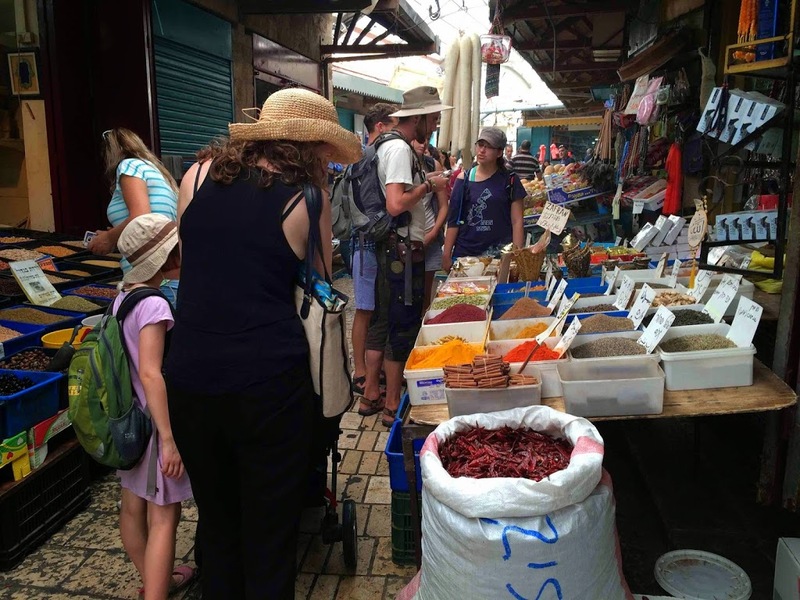 It is also bounded in the east by the famous Mahane Yehuda market. While Nachlaot is bit of a hike (ca. 30 min.) from where I’m doing most of my research, it is a fascinating — mostly quiet — place to stay. Below are a couple of views: one of my street and the other of an architecturally impressive arch that (at least these days) has the sole purpose of providing access to the second floor. Why do this with a steel staircase, when you could do it by stone arch? And finally, below are pictures of a few of things I’ve been looking at this week for my research (as well as to gather teaching photos). Week Two at Megiddo saw continued excavation, but included some additional educational features. Megiddo is a large and complex site, and most staff and volunteers work in only one area, or part of the Tel, per season. Individual areas can be fairly large — as big as individual sites elsewhere. That means that volunteers could spend the entire season working in one area with no direct contact with the excavations and discoveries on other parts of the site. 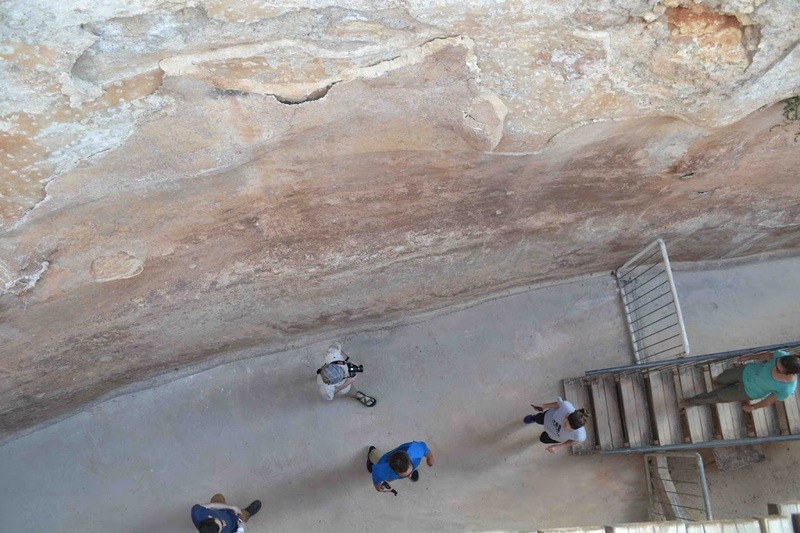 To prevent that kind of archeological myopia, and to educate volunteers about this season’s excavations and goals, area supervisors provided tours to those working in other areas. Below you can see photos of two area supervisors providing enthusiastic tours of their areas. The end of the second week also saw the second weekend! Some volunteers headed south to the Dead Sea and Masada. I ventured north and to the coast, to check out the Crusader City of Akko (Acre), which has a fantastic souk, seen below. 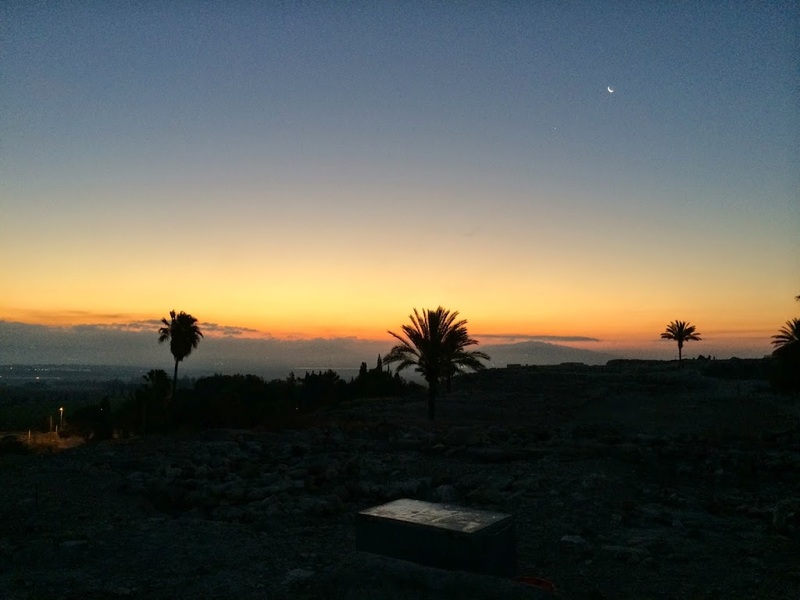 And finally, one more picture of morning at Megiddo, with the crescent moon and morning star visible. 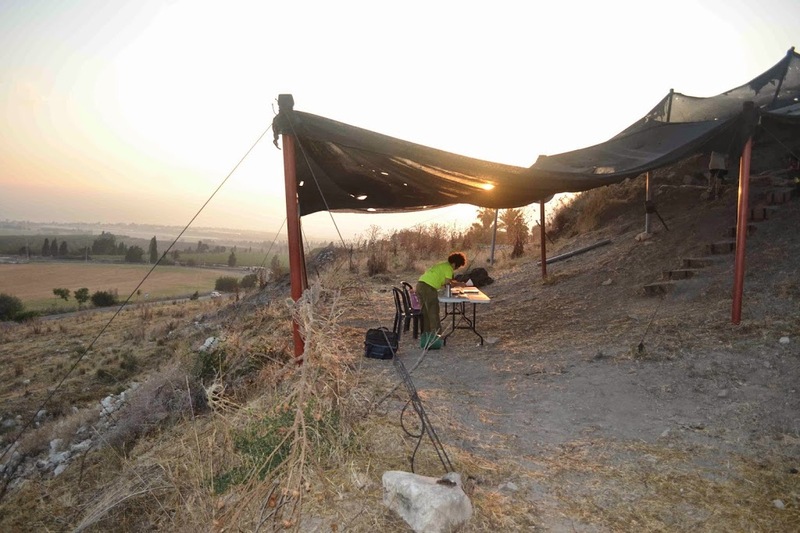 The first week of excavation has ended at Tel Megiddo, and below are images that illustrate some of the activity from the week. Excavation days begin early. The bus departs our place of residence about 4:30 so that we can be on site by 5:00 a.m., when the sun starts to rise. As seen in the picture below, when we arrive at the Tel, it is still relatively dark, the sun is just peeking over the horizon, and the streetlights are still visible. After a couple of days of preparation, all areas of the Tel were able to commence excavation and the recording and processing of finds, as is visible in the image at right, where one can see the office (table) of Area H and the Area H registrar setting up for the day. There was also a documentary film crew with us the week. According to the film crew, they are making a documentary about the past and present in Israel. 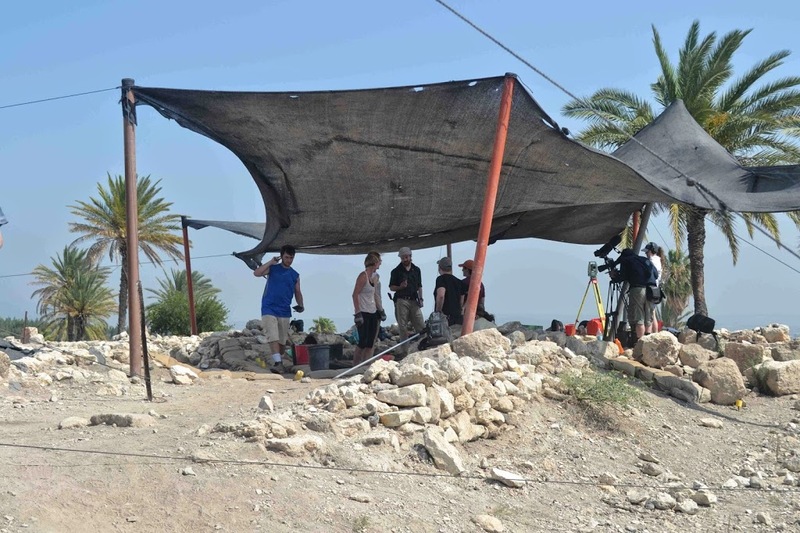 While they were mostly interested in filming the director of the excavation, they appear to have filmed many of those taking part in the excavations at Megiddo. So, if you know someone digging at Megiddo this June, stay tuned for a forthcoming documentary, you may catch of glimpse of them. With serious excavation also came the serious dumping of excavated dirt, and I don’t think any area at Megiddo has a more dramatic dump than the one seen below, from which material appears to be dumped directly onto the valley below. 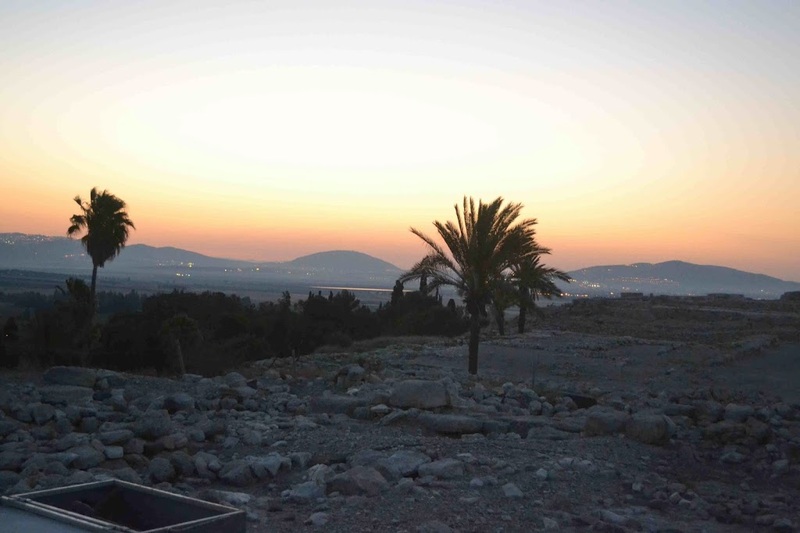 This week we begin excavations at Megiddo. On the first day, that involves preparing the shades for the areas to be excavated. 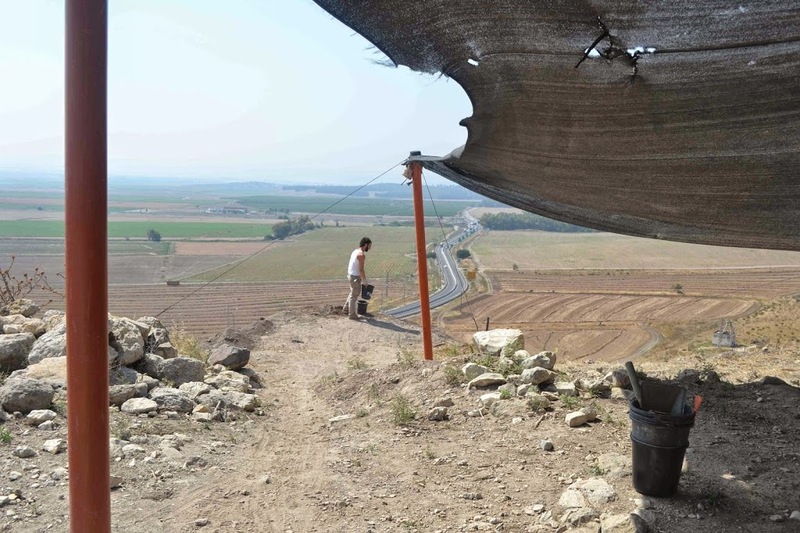 Not all excavations put up shades for the diggers, but in Israel they are typical. The first day involves quite a bit of cleaning as well. The Megiddo excavations are bi-annual, which means that most areas we are excavating this year have not been cleaned since 2012. In some areas, that means that there is a lot of brush to be cleared and a lot of debris that has washed into the excavated areas that must be removed before excavation can resume. The first day is also when equipment is set up and tested. For example, in the photo below, you can see the yellow total station (more on those here), used to record coordinates and elevations, which was recently set up. In the foreground, volunteers can be seen cleaning the area and preparing it for excavation. 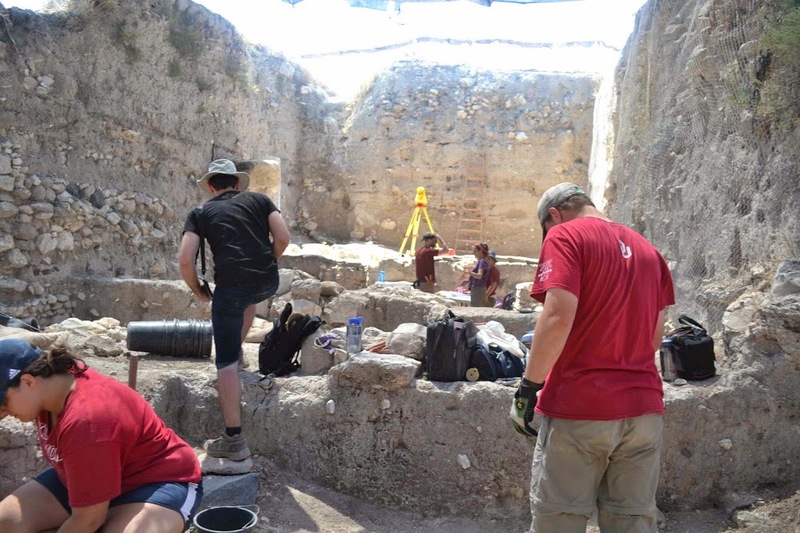 This summer I’m leading a group of University of Oklahoma students to Israel to take part in a summer archaeological program organized by the Jezreel Valley Regional Project (JVRP). 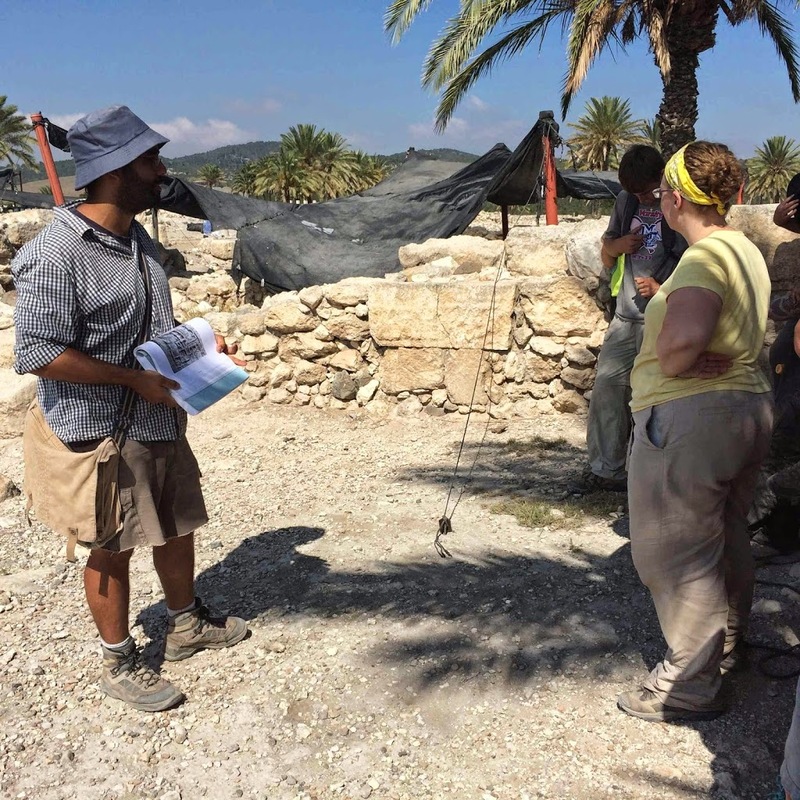 OU has joined in a consortium with the JVRP to put together a program that involves a one-week study tour of archaeological sites in Israel and a three-week archaeological field school at Tel Megiddo. The tour portion of the program began June 7 and concluded June 12. 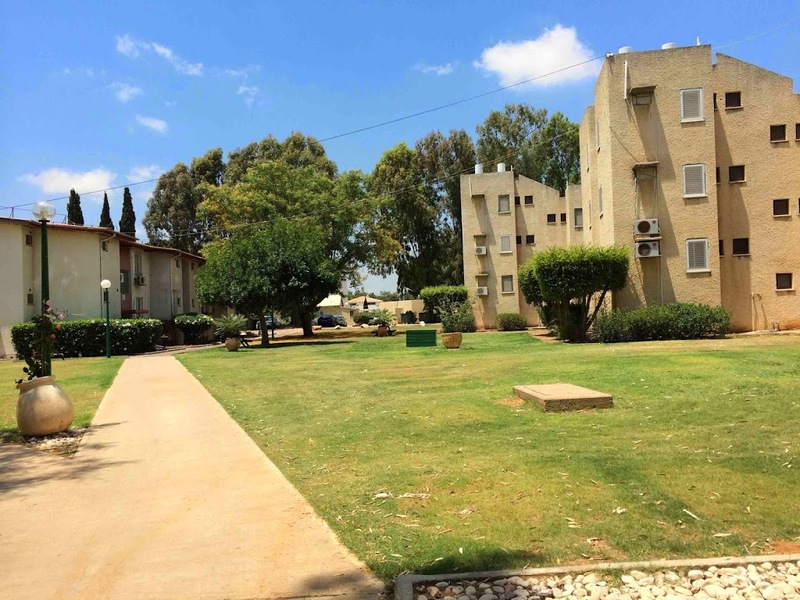 While touring sites in central and coastal Israel, students and staff stayed at Givat Haviva, which will also be our residence during the excavations at Megiddo. 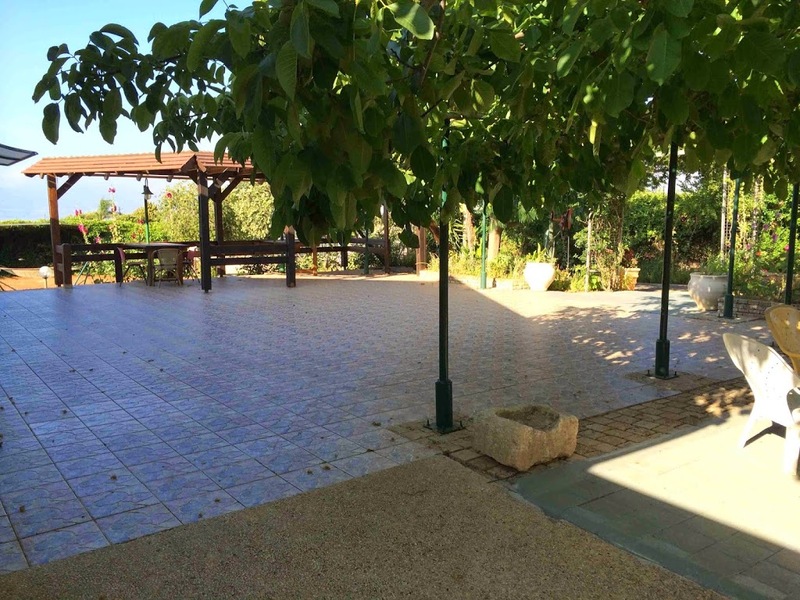 When touring northern Israel and the Golan Heights, we stayed at beautiful Ramot Naftali. 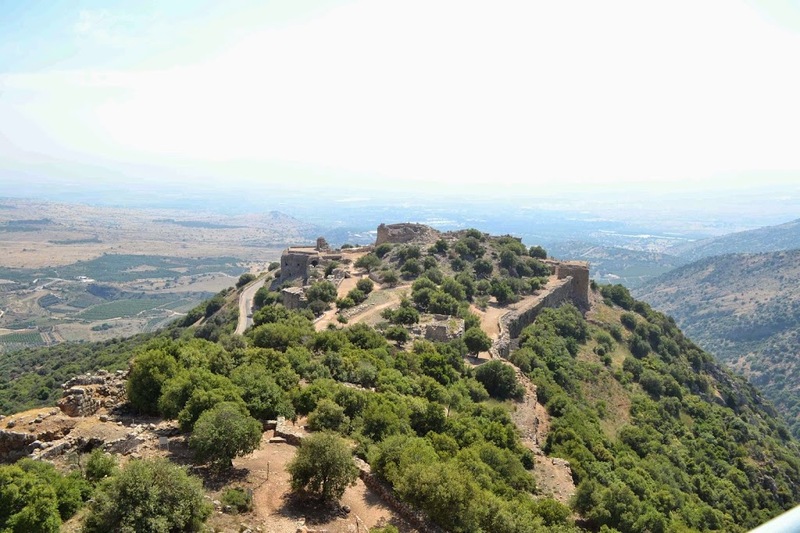 Our tour of Northern Israel included a number of different types of archaeological sites, ranging in date from the Bronze Age, like Tel Dan, to the Hellenistic and Roman eras, like Banias and Hippos, to Ayyubid and Mamluk fortifications, like Nimrud’s Fortress. 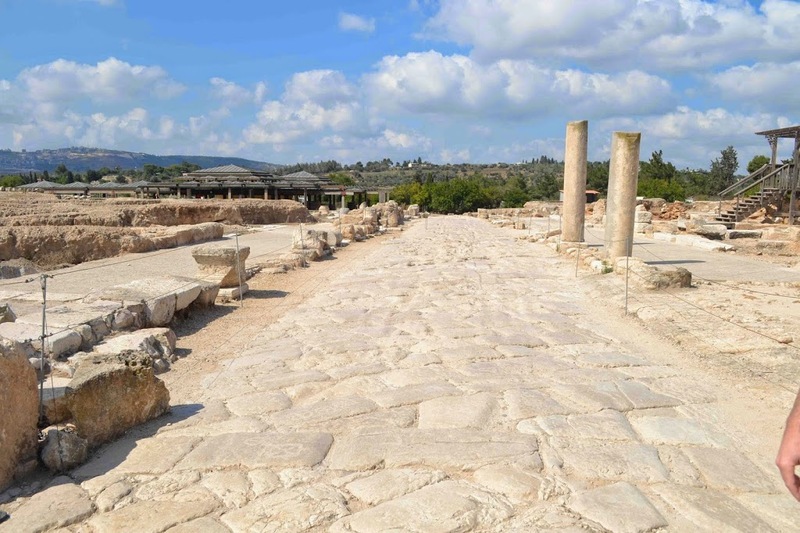 Our tour of the Jezreel Valley, Galilee, and coastal plain included some of the most famous sites in the area, including Beit Shean, Sepphoris, and Caesarea Maritima, as well as recently explored and excavated sites like Legio, the location of the 6th legion’s encampment. So far the students have been enthusiastic in their exploration of archaeological sites. I’ve included some images below to illustrate the sites we’ve visited. In the next couple of days, we will prepare to begin excavations at Tel Megiddo, and I’ll post further updates as the project proceeds. 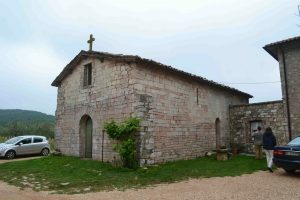 For those wishing to see a bit of Massa Martana, or maybe if you are missing it already, the Commune di Massa Martana has produced a ca. 28 minute film about the town, its surroundings, and its history. The film features familiar figures, such as the mayor and other prominent Martani like Elena Burchi. The soundtrack is part smooth Jazz (for the cool present), part classical (for the catacombs), and part military-style band (for the Romans). 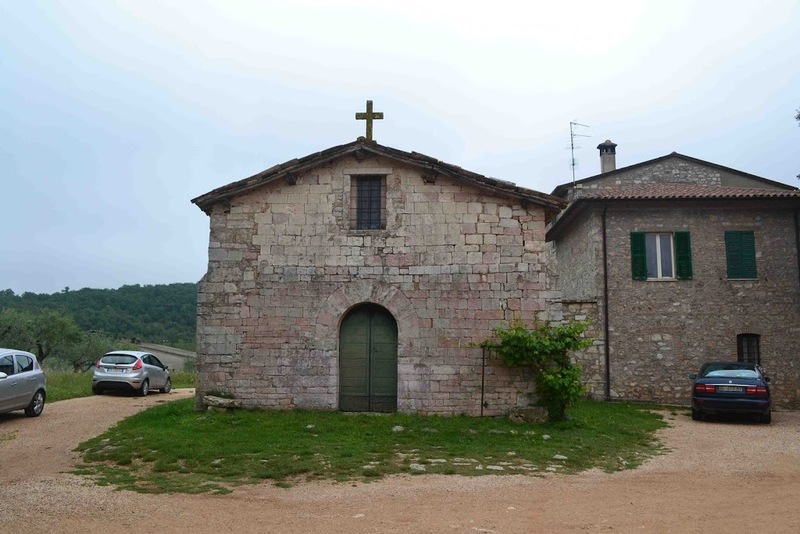 Continuing my occasional posts about medieval churches near the Vicus ad Martis, here are some images of Sant’Ippolito, a medieval church near Massa Martana. The church could date to about the same period as other, visually similar, churches nearby, ca. 13th century. 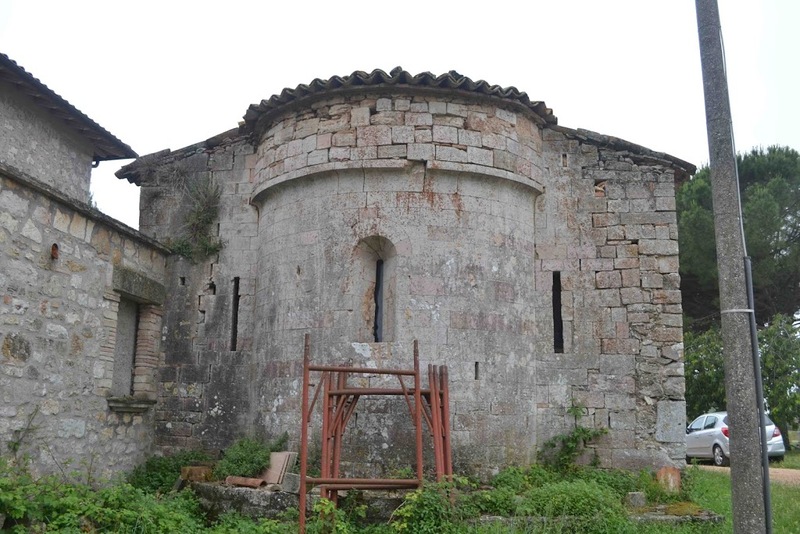 But, the re-used material in the facade and apse, suggest that the original construction could be earlier. The church appears to be largely neglected and is between a house and barn, and next to the parking lot of restaurant. The apse, which is in fairly good condition, serves as a lean-to for extra farm equipment used in the barn behind the church. I was unable to enter the church when I visited. 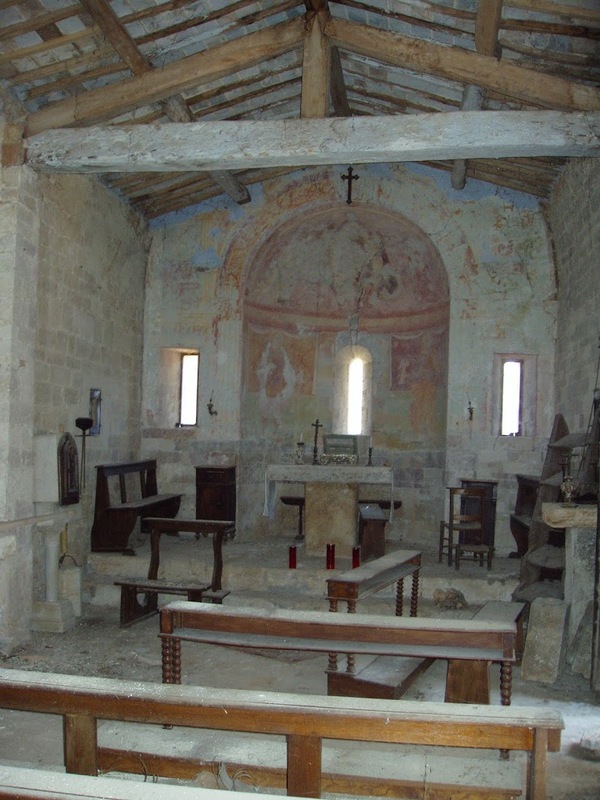 However, a photo posted by “Vicus Martis” on panoramio.com appears to show the inside of the church. While the thick layer of dust indicates that the church has not been used for some time, the church interior has frescoes that would appear to be worthy of documentation before further deterioration. The interior decorative program could yield clues as to the date and history of the church.